Fits Gen-V LT Engine in Corvette and Truck only (does not fit Camaro). Also Fits Holley Oil Pans 302-20 & 302-22. LT Truck engines require oil cooler adapter 1126ERL or 1129ERL and spacer 1127ERL – for clearance to the engine block. 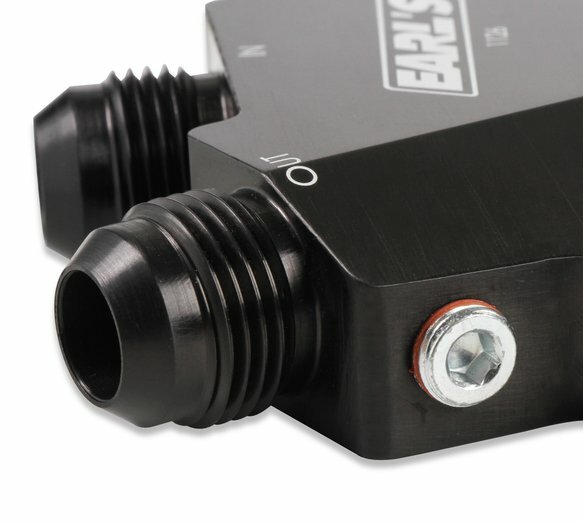 Camaro Engines Can Use This Adapter only when using Holley Oil Pans 302-20 or 302-22. 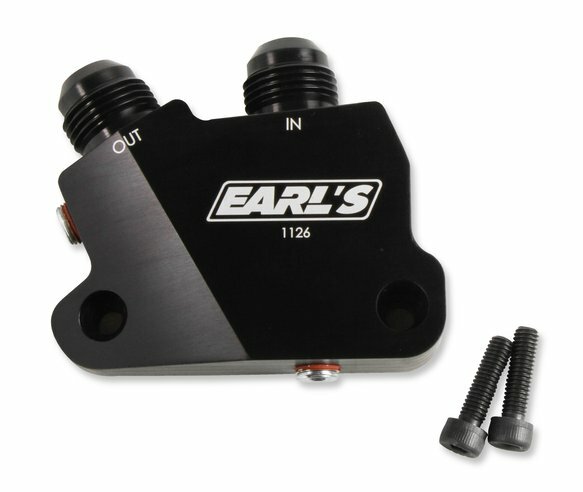 Earl's billet side mount oil cooler adapters are the slick way to add an oil cooler to your GM LS or Gen-V LT engine. 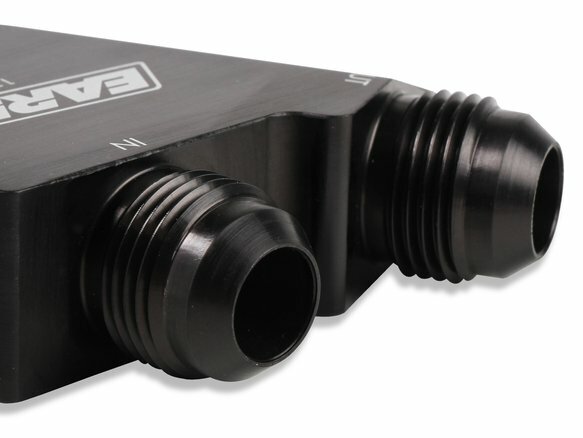 The slim design of these adapters clear most headers and other components and feature -10 AN male connections. 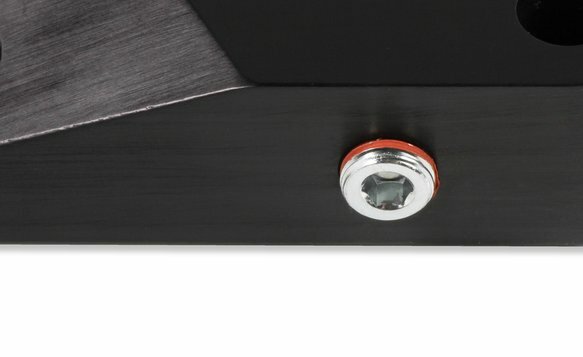 These adapters are black anodized and use O-Ring seals for a leak free installation. 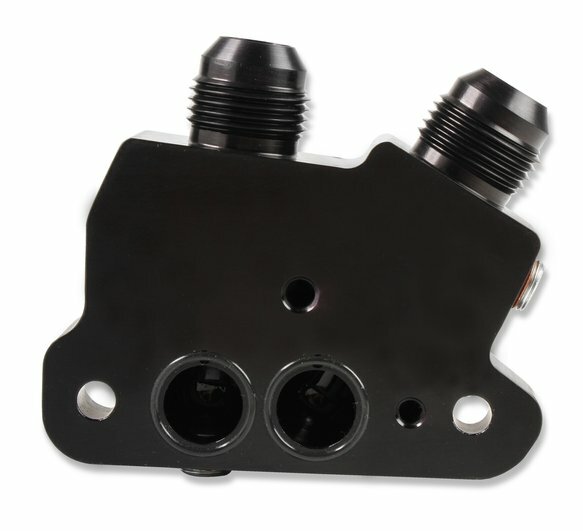 The Gen-V LT adapter fits the OEM Corvette, OEM Truck, and Holley 302-20, 302-22 oil pans only. 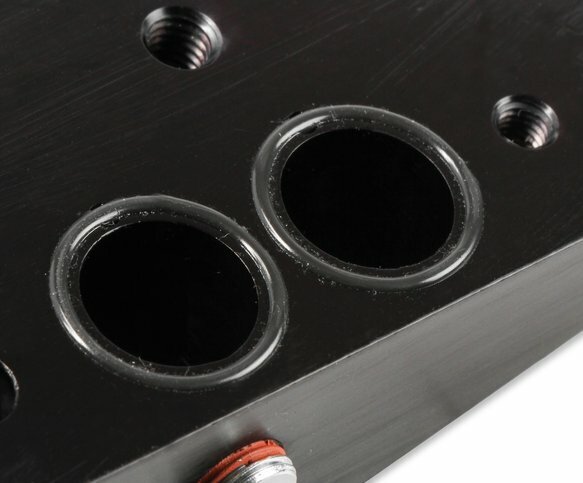 The Gen-V LT Truck engines require an extra spacer plate (1127ERL) between the oil cooler adapter and the oil pan to provide clearance from the adapter to the engine block. Choose from a standard adapter or one with a thermostat (180 degree is standard & optional 210 thermostat is available separately). LS/LT Replacement O-Ring Kit (2 o-rings) Fits: LS0012ERL, LS0013ERL, 1126ERL, 1127ERL, and 1129ERL.